If your a Google Talk user, you can either access your account by opening GMail or by downloading and installing Google Talk into your desktop. If you feel both are hassle then try using a Chrome extension that will let you open your Google Talk right in the browser. 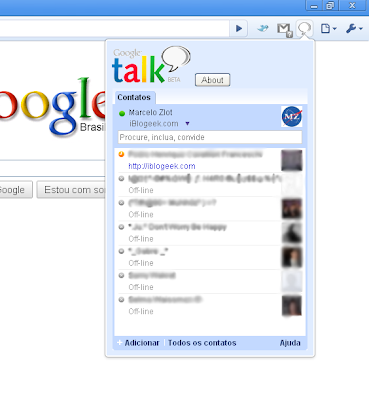 With Gtalk extension installed, you'll have an icon beside the address bar which will pop down when clicked. 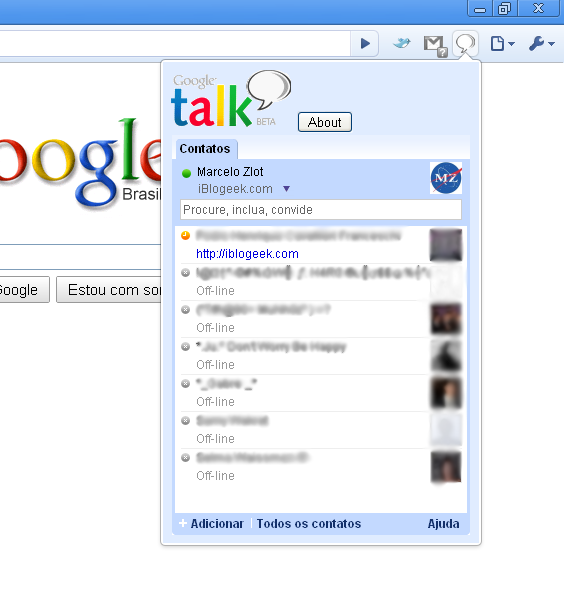 If your logged in from your GMail, it will automatically pickup the account and use it to open Google Talk. This extension is quite useful if you don't want to install another application on your PC. I tested it on Chrome 9.0.597.98.